The Pentagon Mall is all set to make a revolution in	the near future. 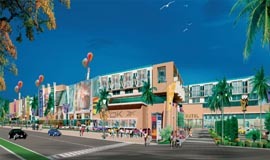 The project offers a unique lifestyle entertainment, consumer durables, household shopping, retail chain outlets, departmental stores, furnishing, decor, electrical and electronics, fast food joints, garments, boutiques and more. 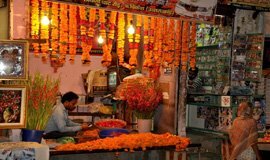 Whatever be the occasion, it ensures yours investments a perfect return. .
Moti Bazar is the main market of the holy city of Haridwar. Usually bursting with crowds from all across India and the world, this is one place that you just can't miss. 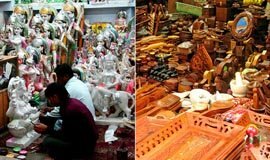 It's the perfect place to get the best and really affordable woollens, prayer bells, brass idols of Hindu deities, and other stuff that's used in Hindu worship and rituals. 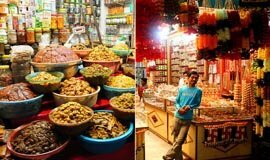 The place is also quites famous for the delectable choley bhature, jalebis, rasgullas, and a host of Indian delicacies. Hard to miss in this market are the rare herbs that are on sale. 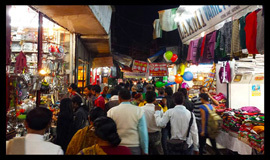 Jwalapur market, is one lucky-go-happy shopping place in haridwar. 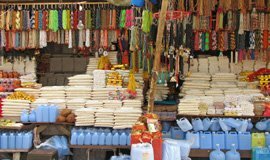 Pilgrims or tourist, You can buy souvenirs from here, as the market has a variety of craft items, small jewellery and religious items. Walking 3 MILES south of Haridwar takes you to the historical town of Kankhal. The place is strewn all over with ashrams and religious centres. The pilgrimage town of Haridwar also features a number of government-run emporiums. 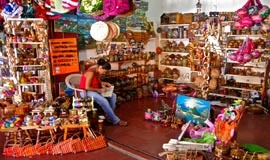 At these shops, you can find a wide variety of religious as well as stone and wood handicrafts. 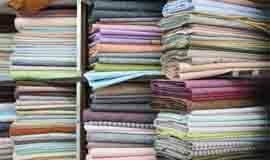 In these shops, you do not need to haggle as they charge you a fixed and reasonable price. Patanjali Yogpeeth in Haridwar, Uttarakhand, is one of the largest yoga institutes in India. Named after the guru Patanjali, the institute is Baba Ramdev's flagship project. Its purpose is to practise and research and develop yoga and ayurveda, as well as manufacture ayurvedic medicines. 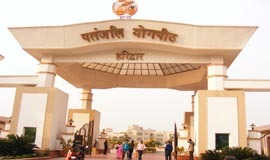 It is also the home of the University of Patanjali. Acharya Balkrishna is the General Secretary of Patanjali Yogpeeth.